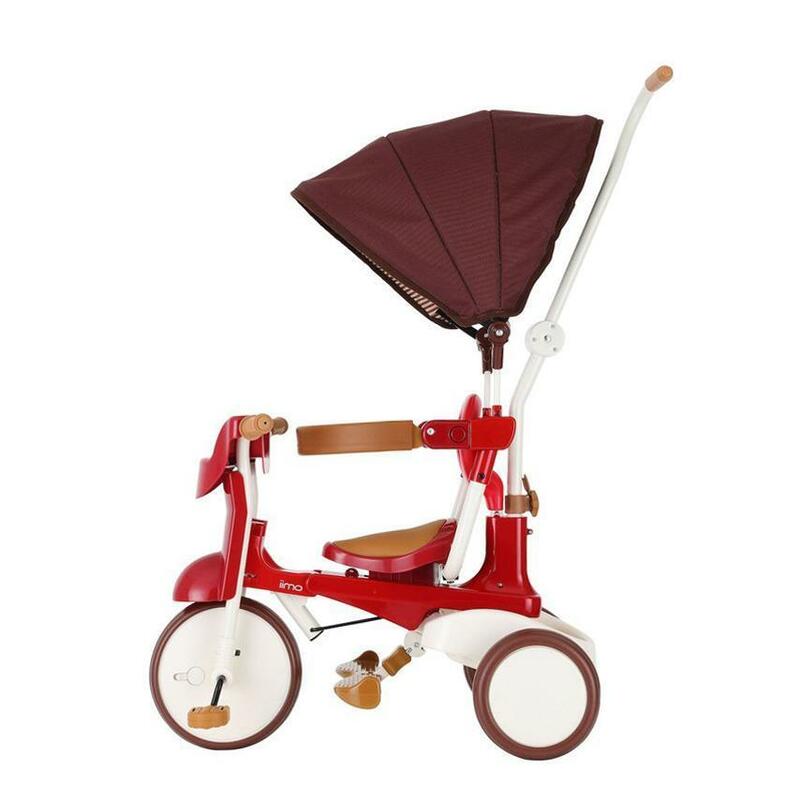 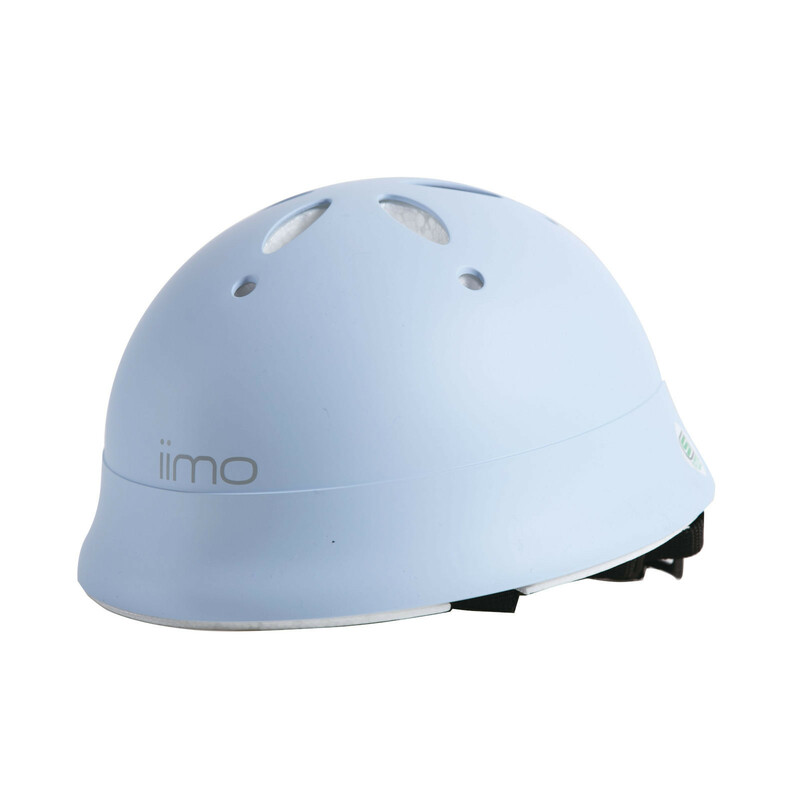 The award-winning Japanese iimo #02 foldable tricycle now comes with a Sun Shade! 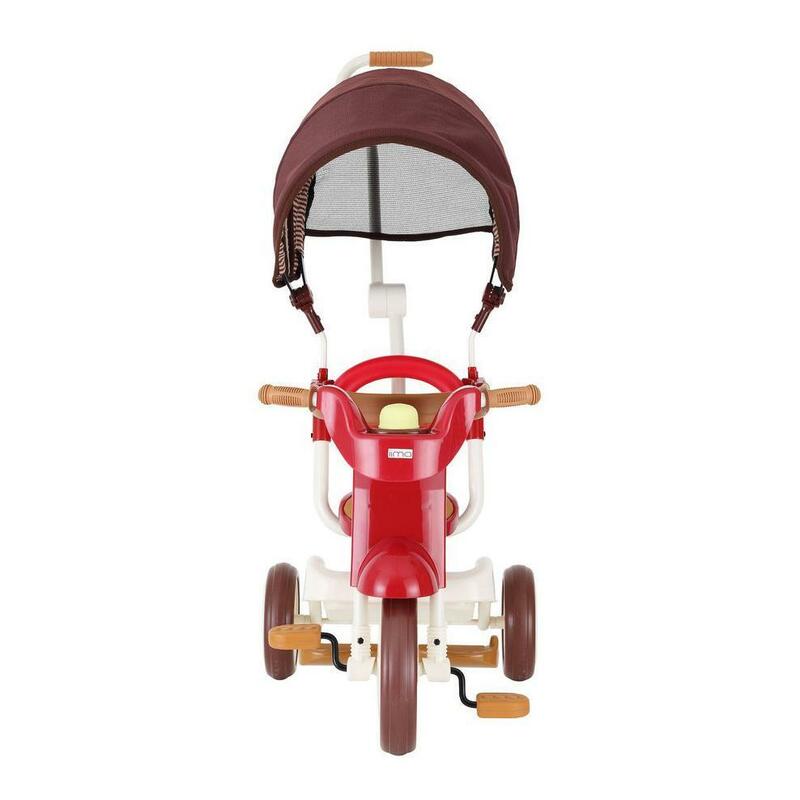 The entire tricycle folds together with the sun shade into a compact unit that can be easily stored in your home. 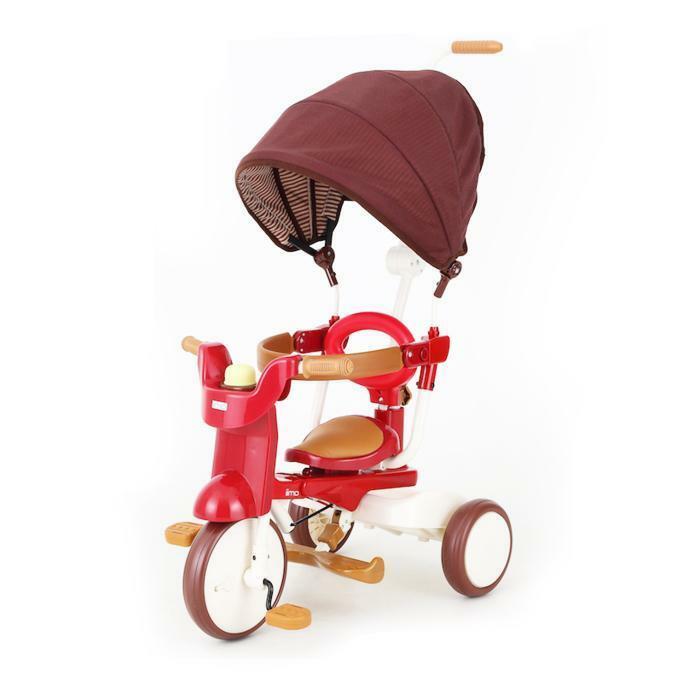 The sun shade can be easily removed and stored separately with a quick release button. 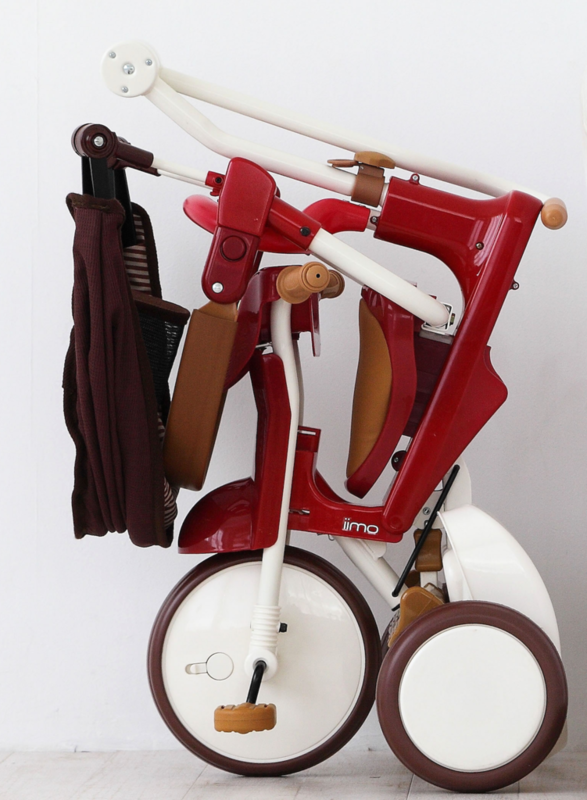 So packing the folded tricycle in the car is not an issue. 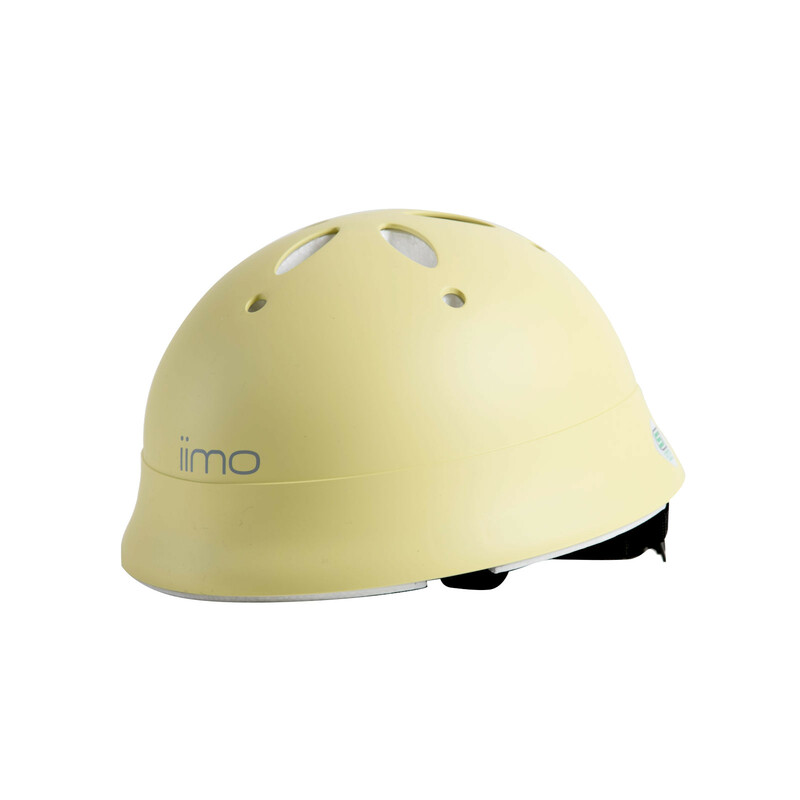 The new type SS comes with a longer push handle similar to the iimo#02 macaron models. 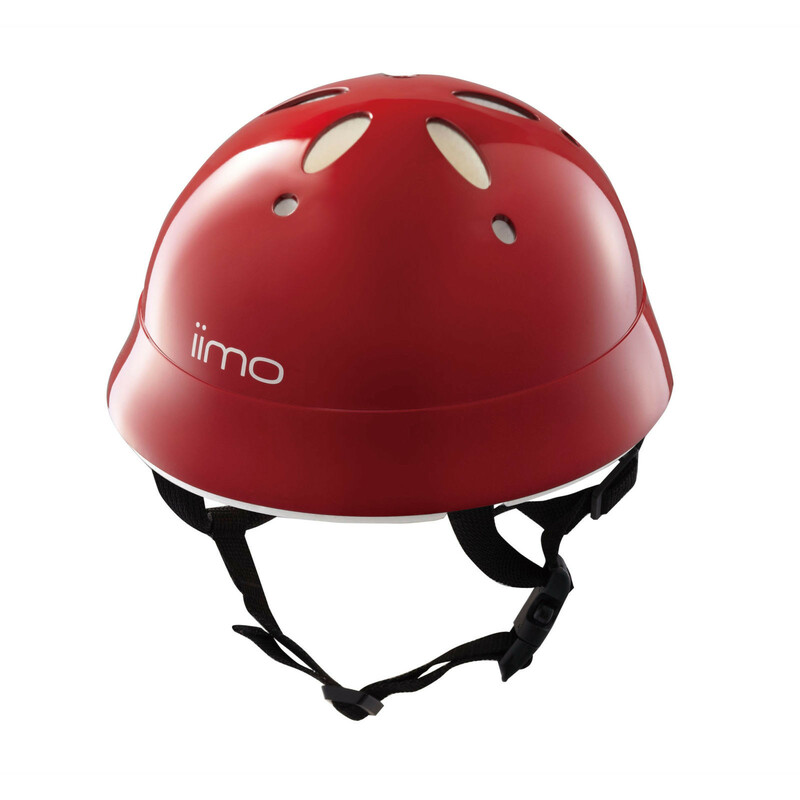 It also comes with a new Belt type safety restraint, instead of a bar type safety restraint. 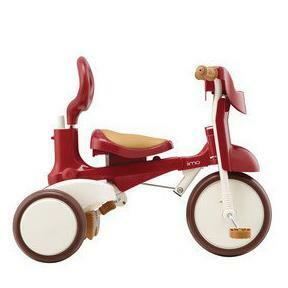 Ages: 1.5 yrs to 4yrs 11mths.